You may be wondering why L.A. Noire is only getting an honourable mention, as opposed to being the 5th best game of last year. Goodness knows that I love round numbers, so I really wanted to do a "5 best games" feature, rather than a "4 best games" piece. However, I couldn't say that it was one of the best games of the year in good conscience. Cole Phelps being moody. You know how it is. But, let's start with the good stuff. If you know anything about this game, you know that its big selling feature was the faces. 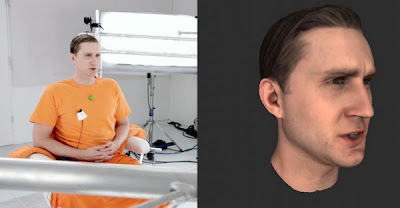 The motion capture used for the faces was revolutionary. It used a system of 32 cameras all trained on the actor's face while they delivered their lines. The result was the most detailed facial animations that have ever existed (in engine) in a game ever. These facial animations were supposed to give you the ability to watch and read the emotions of the the characters that you were interviewing as Detective Cole Phelps. I wasn't very good at telling if a person was lying or not, but that was just me. It was definitely possible to tell. They would break eye contact, or they would pause... There was always a tell. Just look at that face! That's in-game rendering! The atmosphere of the game definitely captured the film noire. There was even a black and white mode, to set the mood. The music was perfect for the genre, with all sorts of saxophones and trumpets moaning. Another thing that the game did right was the city of L.A. itself. Team Bondi did a fantastic job recreating 1947 L.A., populating it with real landmarks and adding the occasional side missions. Pretty much the entire city is open to you to explore as soon as you get past the tutorial and earn your detective badge. And, if you didn't want to drive around L.A., you could simply press a button and have your partner drive for you. Speaking of partners, that was another thing that was done well. The characters in the game were well written for the most part, Cole Phelps in particular. Which is good, considering that he's the main character. He seems to be the goodie two shoes character at the beginning, but his motivations and his methods definitely rest in the shades of grey. A character introduced later in the story, Jack Kelso is also well written. He was a war buddy of Cole's, so he has the same background, but he turned out differently through that experience, which is a nice touch. There are some two dimensional characters, like Roy Earle, the sleazy scumbag, but there are enough fleshed out characters to make up for it. Now for the disappointing parts of the game. For me, the deal breaker was the gameplay itself. 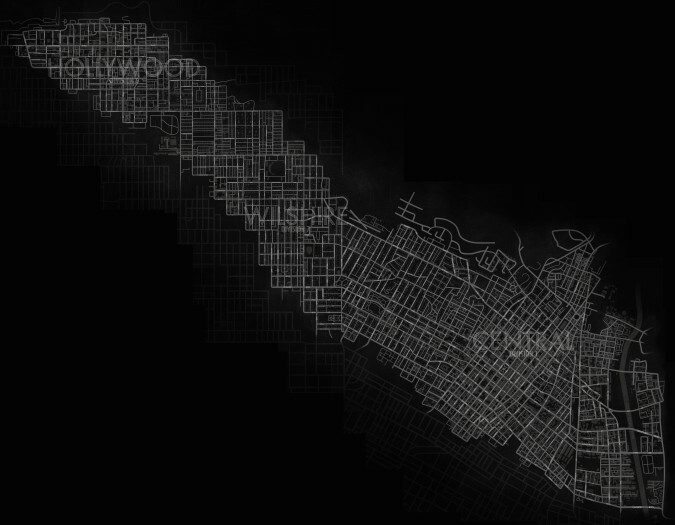 The team did a great job creating 1947 L.A. in massive scale. Unfortunately, the city feels empty. Yes, there is the side missions every now and then, but they often are far from where you are driving at the moment, and by the middle of the game, I was ignoring them. It takes about a half an hour to drive all the way from one end of the city to the other, and in that entire distance, there is nothing to do. In games like Grand Theft Auto, the city feels alive: there is always something to see, or a ramp to pull off a crazy stunt in your car, or you may hit a pedestrian and have the police come after you. 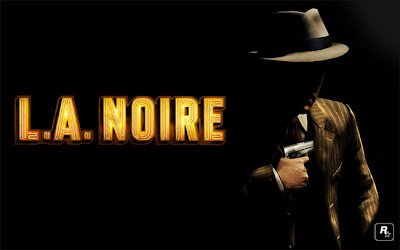 In L.A. Noire, you are the police, and it is almost impossible to hit the pedestrians. Not that that is a bad thing, but the designers didn't do a good job replacing the excitement of being evil with anything comparable on the right side of the law, resulting in a feeling of emptiness and boredom. Look at how big that city map is! That isn't my main issue with the gameplay though. The biggest problem by far is the lack of progression. You start off the game as a master detective, and you end the game as a master detective. There's no growth! Yes, you get promoted and change crime desks from time to time, but the techniques that you use to solve the cases are all the same, no matter what type of crime it is. All of the cases follow the same formula: you start out at the station, get called out to the crime scene, look at the body and look for clues, go to the location that the clues revealed, interview witnesses, repeat until solved, then have the mandatory action sequence (car chase, foot chase, or shootout). There is no variation, and you never learn any new ways to solve crimes. There is nothing to keep it fresh and exciting, no new items to help you in your quest for justice. Every case feels the same. As a result, I had to take a break from the game for a month or so twice, because I got bored. Another flaw is the story itself. The most exciting part is well before the middle of the game, during the homicide desk, when you're hunting down a serial killer. You catch him, and it's exciting, but then the story never gets that interesting again. There's a conspiracy, but it's not that exciting or compelling. The story never reaches the heights that it did in the first half. In terms of objectionable content, there was more than I would have liked. The main characters are all very foul mouthed, swearing quite frequently. The crime scenes often have dead bodies, which usually aren't wearing nearly enough clothes. Characters drink, smoke, and do drugs. There are dirty cops. A major theme is corruption, and it is shown in detail. So, yes L.A. Noire is an important game, and it does have its merits. However, there are enough design problems and content advisories that it doesn't quite make it onto my best of list. Check back tomorrow night for my #4 pick.